In this fast paced and ‘always on’ world, digital marketing has turned into a necessity for businesses to reach the target audience rather than an optional service. Digital marketing brings outcome based solutions and fetches far reaching benefits such as increased accessibility, lesser cost compared to traditional marketing and advertising methods. However, the necessity of digital marketing has also led to intense competition in the space. The rising competition demands businesses to create more agile, digitally focused and integrated marketing campaign that ensures maximum return of investment and this is what exactly DigiOn focuses into. Driven by the qualities of creativity, analytical acumen and innovation, DigiOn is committed towards guiding companies and brands to create a persuasive digital marketing strategy to stand out from other competitors and helping them to sustain in their dominant position by tracking, measuring and analysing the online activities. get conversions from your internal Digital Marketing efforts or your online marketing agency is not able get the desired results – our expert team at DigiOn can provide you the solution you are looking for,” admits Amit Kumar, Founder & CEO, DigiOn. 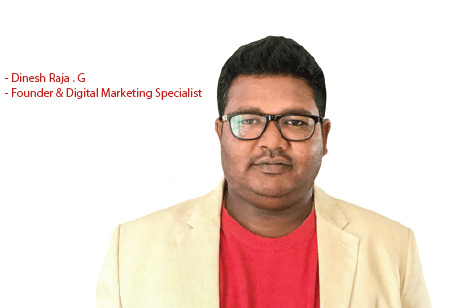 With a combined experience of more than 40 years in Digital Marketing, Web Designing and Development, team DigiOn is the right digital partner for businesses. Though the company has been differentiated in terms of its rich market experience, DigiOn is also par excellence in delivering end to end digital marketing services and developing multichannel strategies combining client’s existing in-house team, digital marketing agencies or web design companies. “We support our clients’ objectives and offers stimulating strategies,research based experiences and implementation platform to realize their objectives efficiently. Our 360 degree approach and multi-channel strategies achieve not just quantitative traffic but qualitative traffic to the website which can be potential leads for clients. Social channels, search engines, video platforms, app store optimization, map optimization, Emailers and other modern marketing channels enable us to do so,” Amit delineates. Furthermore, this ingenious web design company has become a synonym with excellent services and provides cost-effective maintenance for various businesses, especially start-ups to explore in the world of internet. Amit Kumar, who possesses more than 18 years of experience in serving different organizations including start-ups and prestigious firms like Oracle, Hewlett Packard (HP), ING Life, Vedantu, Metric-Stream adds that “Not being over confident, but yes, we understand start-up environment very well. It is critical for any business, especially start-ups to invest in the right strategy and social media management. With a strong and diverse client base, which covers various sectors such as EdTech, Home Decor, FinTech, Software Solutions, Hardware, HealthCare, Travel, Patent and Trade marking, Food and Beverage, Manufacturing, DigiOn is all set to fortify its presence in the industry through its expertise and focus on quality rather than quantity. Also, the company wishes to evolve as a premium digital marketing agency providing high standard solutions for any business, mainly the start-ups.